All You Need is Love: Hi! Nice to Meet You! I've realized lately that I blog about my kids waaay too much a lot. Yes, they are my world and they are why I started this blog, but things have changed. Like most people, I've realized that blogging is also about making friends. There's always someone out there who can relate to a particular story. I take comfort in that because I know I'm not alone. What I've noticed with my little piece of the net over here is that if I'm not blogging about my kids, I'm doing a meme. 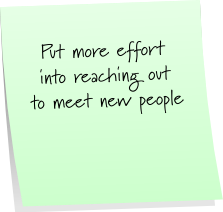 I guess it's kind of hypocritical that I'm doing this post of part of a meme, but I am NOT giving up my Post-It Note Tuesday! It's just way too fun. But I am going to cut back on doing memes. If what I have to say is relevant to a particular one, then I'll probably link up. My kids - oh, you'll still hear about them. But I want to blog more about who I am, as a mom as well as outside of that. Because there is so much more to me than just a mom. But I don't know where to start. I've said this before - who doesn't want a ton of followers? But what good is a ton of followers if not many of them read and comment. Comments are how we get to know each other. If I do my part more, hopefully it will be reciprocated. So... HI!! Nice to meet you! 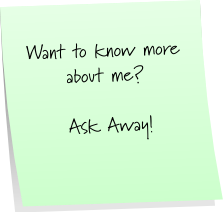 Anything you want to know, ask away! I will answer via email and/or a post. I agree with you ... quality over quantity. When I first started blogging, I got very very hung up on numbers (followers, comments) but then I realized there is only so much time I can devote to this and have it be meaningful so now I'm happy with how it is. And I just write about whatever strikes my fancy ... gotta keep yourself happy. I don't have the near #'s in followers as you, but with the 80 I have, I doubt 20 of them comment regularly. Kind of depressing really. Followers definitely does not equally more comments. It is kinda crazy, but true. It is nice to know people are reading and enjoying enough to say, "hey". 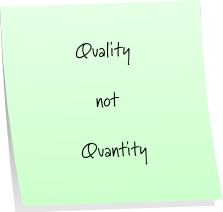 You are so right about the quality versus quantity. I'm sure you will make plenty of friends following this. I'm struggling with the never-ending meme thing too. I have kind of taken a step back, but I need to do it again...or maybe just a bigger step!! I started doing the meme's more often because it was the only way I could get myself to write more. I've backed off from some of them, and now I'm kinda like you, I'll do it if it relates to something I am already planning to write. I agree! I was doing a lot of memes too I did PINT today but nothing all last week and it was more difficult to post everyday but at least everything I was writing was from the heart :) lol! What did you think you would be when you grew up? And, does your reality match what you actually have? Most of our family members live in other states so the blog is my way of letting them know what's going on in our world. Definitely quality over quantity. So my question is this: If you and I were to go to Lunch IN Pittsburgh or spend the day checking out the sites. 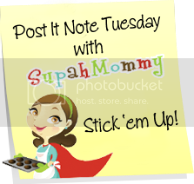 I love your blog keep doing what you do..
What do you like most about being a Mom.. Same here! I started blogging to write about my kid and share things about him with my friends, but I have now LOVED getting to know other people and hearing about how they are doing the "mom" deal! Nice to meet you too! I don't comment often because I never know what to say... however I wonder how you get followers? I only have 8... I imagine it's beause I just talk about my day to day stuff and its not funny or interesting, but if I wanted to put myself out there, how would I do that?